Louisburgh-native author Mick McCormack has won the 2018 International Dublin Literary Award for his novel hugely acclaimed novel Solar Bones, published by independent Irish publisher Tramp Press. 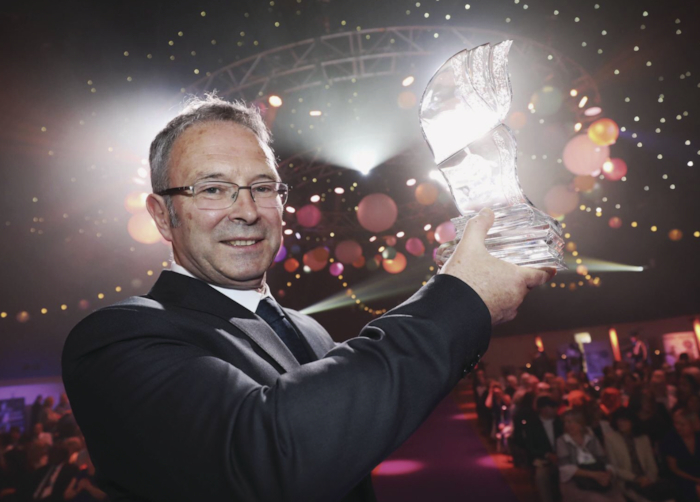 The win for Galway-based Mike McCormack was announced at a ceremony in Dublin’s Mansion House yesterday. The judges’ citation described Solar Bones as “formally ambitious, stylistically dauntless and linguistically spirited...a novel of extraordinary assurance and scope." The award is organised and sponsored by Dublin City Council, and at €100,000 is the world’s largest prize for a single novel published in English. Asked what he will do with his €100,000 prize — "“One thing I will buy is a new chair, because the chair I usually write in collapsed under me the other night in the room. It was a timber morticed chair and I twisted in the opposite direction and it just splintered. So I’m going to get a new chair.” You’d get a good chair with that kind of money. “That’s what I’m thinking." “I was years living hand to mouth. That brought awful stress in its own way. It was really debilitating trying to put together a wage so that you could see a way from one month to the next. Paradoxically the summer months are the worst as all the teaching dries up and you’re just hoping someone will offer you a summer school or to teach a masterclass, to give you a cheque. For years and years that was the way I spent my summers. It was only in the last two years I’ve had a regular income," he said. He teaches creative writing at NUIG, including the MA. “This is the first fulltime contract since ever I started writing.” There were years and years “just ducking and diving and trying to put a wage together from bits and pieces. That’s the way it is, you just get on with it. “A lot of people had faith in me, to stick by me and listen to me, and put up with me during the difficult years.” He mentions his wife artist Maeve Curtis, his agent Marianne Gunn O’Connor, “a source of continual optimism and friendship and support over the years. I was so glad to be able to ring her up and tell her this news. And his publishers Tramp Press, run by Sarah Davis-Goff and South Mayo native Lisa Coen, from Cross.